We are delighted to announce the second annual SPPA conference. We will have speakers and workshops on a variety of topics, exploring our conference theme ‘Growing up, growing old. Staying well: a social pedagogical approach’. Current public policy reform in all four countries of the UK envisages new ways of practicing in care, education and health services for individuals, families and communities. But delivery often falls short of being transformational. Social pedagogy has a life course perspective and foregrounds everyday living contexts. Social pedagogy is a relational and ethical practice that gives practitioners a values framework, alongside theories and tools with concrete applicability to everyday practice. Social pedagogy holds the possibility to support current policy direction and to enhance the quality of service provided. This conference, hosted by the Social Pedagogy Professional Association (SPPA), will be an invigorating, refreshing, creative, and quirky reframing of public policy and the way we practice. There will be an opportunity to hear from leading voices in public policy and to participate in workshops about changing practice on the ground to enhance the quality of life and outcomes in the many settings where social pedagogy is active. Our keynote will be delivered by Professor James Mitchell from the School of Political Science at the University of Edinburgh. Prof. Mitchell will be talking about the ambitions of public policy that resonate with social pedagogy, such as community engagement and collaborative learning, and why these are hard to translate into practice on the ground. There will be workshops hosted on a variety of themes, from building trusting, sustainable relationships with young people, adopting a social pedagogic approach to working with adults with learning disabilities and more from across the life course. Workshop titles and speakers will be confirmed ASAP. *Not yet a member? Joining as a SPPA member only costs £70 and you can then avail of the SPPA member early-bird fee of £60 until 6 July 2018 (and if you are a student/non-wage earner you can join for £25 and avail of the £25 conference fee). The total cost of SPPA membership and the early-bird fee is the same as attending the conference as a non-member, plus you get one year access to SPPA membership benefits. Sign in or register to use the SPPA website. Click 'Book Event' on the top-right of the page. You'll be automatically redirected to the UCL Online Store for payment. If you're new to the UCL Online Store register as a 'New Customer', otherwise log-in with your UCL Online Store details (these are not the same as your SPPA log-in details). Choose your package and follow the form. Click 'Add to Basket' and proceed to payment. This conference will be of benefit to all those interested in a social pedagogic approach to delivering care, education and health services, from practitioners to policy makers, and students to academics. You might be working in early childhood education and care, family support, in day care services for older people, mental health services or residential child care. There is a place in social pedagogy for everyone. 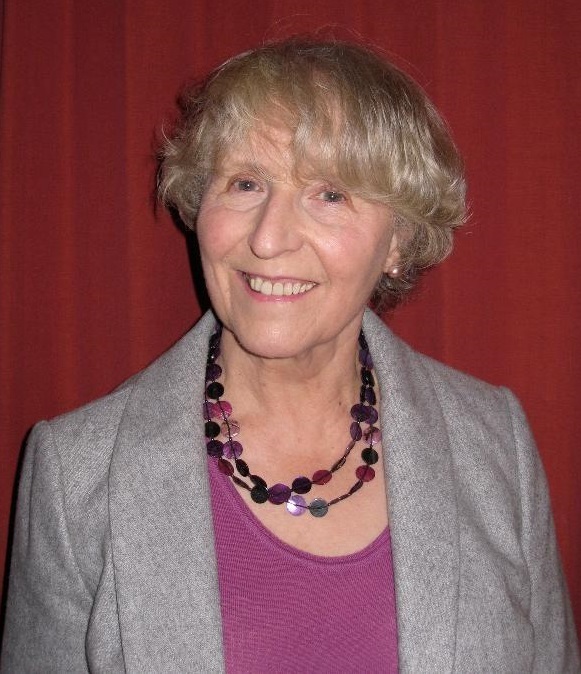 Chair: Kate Skinner, Social Work Practitioner and former Chair of Camphill Scotland (2006 – 2014). Keynote speaker: Prof. James Mitchell, Professor of Public Policy in the Academy of Government at the University of Edinburgh. Workshop 1 - Building and sustaining relationships in residential care using a social pedagogic model. Workshop 2 - Social pedagogy and the Camphill approach in adult communities. Speakers: Martin Alfred, Andrew Plant and Sandra Sabiston, Camphill Scotland. Workshop 3 - How can non-violent communication support our work as Social Pedagogues across the life course? Workshop 4 - Refusing to accept refusal – building positive educational experiences for looked-after-children. Special Interest Groups will be allocated a room to meet during this period, if required. Workshop 1 - Social pedagogy and the Family Learning Intervention Programme (FLIP) at Hackney Council. Workshop 2 - Using social pedagogy in work with older people. Workshop 3 - The ‘how’ versus the ‘what’ we do in social pedagogical settings. Workshop 4 - How have we grown up? How a 160-year old organisation considered social pedagogical perspectives for staying well in the future. Including a recap of SPPA AGM, introduction to new SPPA trustees for the coming year, announcements from SIGs. Building and sustaining relationships using a social pedagogic model. This workshop will explore how the theory of the 3P’s supports staff in residential children’s homes to build trusting, sustainable relationships with young people that will last in the future once a young person has left care. The workshop will use visual creative methods and experiential activities to engage the audience, it is hoped one or two young people will join the speakers. How can non-violent communication support our work as Social Pedagogues across the life course? This workshop will explore the use of non-violent communication as a social pedagogic tool whether working with young children, adolescents, adults or older people. The workshop will support practitioners in developing the inner qualities needed to develop positive strength based relationships. It will explore the requirements for authentic empathetic relational work. How have we grown up? How a 160 year old organisation considered social pedagogic perspectives for staying well in the future. This workshop will describe how Kibble, a large third sector charity has used social pedagogy to determine its core values. 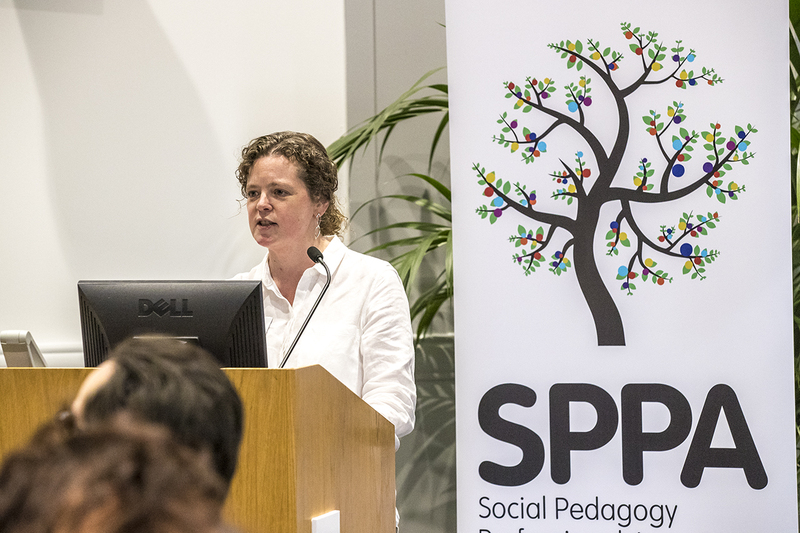 It will explore how social pedagogy was aligned to the organisation’s pre-existing philosophies and will show how social pedagogy has benefited the organisation and its practitioners. The workshop will be interactive and promote thought and practice change. Refusing to accept refusal – building positive educational experiences for Looked after Children by working together. This workshop will share practical experience of strategies used that have resulted in successful academic outcomes whilst accommodating the particular circumstances and needs of a young person. The workshop will encourage active learning, with participants sharing their experiences in small groups – drawn together in a tool-kit of strategies. Social Pedagogy and the Camphill approach in adult communities. This workshop will relate to 3 different aspects of experience of living and working alongside adults with learning disabilities in three Scottish Camphill Communities. They will focus on social and cultural life, life-sharing and positive relationship building, and the introduction of meaningful work activities. There will be a space for active participation and shared reflection. Social pedagogic approaches to working with older people. This workshop follows the success of a recent one-day training session for practitioners working with adults across the age range in Leicester. As an emerging professional disciplines, it provides an ethical, appropriate framework for holistic, strength-based practice. This workshop will be an opportunity to explore or shape discussions around the practice of social pedagogy in work with adults and older people. Social pedagogy within the Family Learning Intervention Programme (FLIP) at Hackney Council. The workshop will introduce the FLIP model, our theory of change and feedback and outcomes of this programme that has been operational since 2016. FLIP works with families where children are risk of coming into the care system or placement breakdowns and their social workers and other professionals. Families and professionals come for a short break away from Hackney in a beautiful rural area where they are supported in strengthening their relationships, addressing some of their difficulties and learn about and develop themselves and their family cultures. The ‘How’ versus the ‘What’ we do in social pedagogical settings. This workshops comes in three distinct phases: 1) an experiential role play to allow participants to experience different cultures in the context of a common task; 2) reflection and exploration of the role-play; 3) theoretical frameworks, influenced by human development are linked to encountered experiences. Amaka has worked for St. Christopher's since 2015 managing Children's Homes for the organisation. She qualified as a Social Worker in 2012 and is currently project co-ordinator of a Department for Education funded innovation project named Staying Close. Amaka enjoys attending music concerts, travelling and water sports. Andrew Plant is the Manager for Supported Living Services at Camphill Milltown Community. He has lived and worked in Camphill communities with adults for 37 years in Northern Ireland and in Scotland. During this time he has always been active in life-sharing, farming, training and management. He is currently vice chair of Camphill Scotland – the membership body for the 11 Camphill communities in Scotland. He is especially interested in researching and writing about the Camphill communities in relation to the wider movement of intentional communities. After studying archaeology, Cecile became a residential care worker and teacher for children with special needs in Camphill Schools, Aberdeen. She then moved to Kent, where she set up a small independent special unit, teaching primary aged children who found it difficult to integrate within the mainstream school. Social pedagogy, which she experienced in Camphill, became an essential framework to articulate the pedagogical vision for the school. The project did not attract sufficient funding and one of the reasons she believe this is so lies with the differences in values and meanings attached to children within English society and in continental Europe, where social pedagogy originated. She was also intently aware of the lack of theorisation of learning within social pedagogy. This prompted me to start a PhD, where I explore how the ‘image of the child’ influences the work of professionals using social pedagogy. Cyndy has over 30 years experience of teaching across all key stages. She has worked in a number of settings including mainstream and special schools. Latterly as Deputy Head of TMBSS Cyndy has worked closely with Senior managers in mainstream sec schools. Her focus had been on devising programmes of early intervention models to enable troubled children to remain in schools. Her particular skills lie in negotiating and networking with colleagues in other agencies including Virtual heads in some London boroughs when considering education for LAC children residing in Shropshire. Her background is that in English Drama and Special Needs. Dan Johnson is a Forensic Psychologist and clinical director in Kibble Education and Care Centre. He began work as a residential carer before working in the prison service where he was awarded a Butler Trust Certificate Award for work on violence prevention. He has been Honorary Lecturer at Glasgow Caledonian University and is a Churchill Fellow researching best practice for supporting children who have experienced trauma and adversity. Joerg Schlueter is a German qualified social pedagogue with years of experience of working in social pedagogical settings in both the German and Irish social care sector. Joerg set up and established Compass Child and Family services in Ireland , strongly built on social pedagogical principles, including an organisational culture and ethos mirroring such principles in its structure and ways of working with each other. Currently Joerg is leading the development and implementation of a n organisation delivering social services in Scotland. Kay has been managing in schools for 20 years of her 30 year career. She has a focus on school improvement and has led on major structural changes in individual schools and most recently across a whole service. She is most proud of the difference that the service made to the most disadvantaged pupils in the county. Her background is in secondary History and English teaching in Inner London and she has maintained contact with the subjects throughout her career. Since 1999 she has focused on Special Educational Needs provisions, in particular Social, Emotional and Mental Health needs. She currently tutors adults in courses on SEN.
Laurence Alfred is a grandfather, father and husband who has lived his life doing what he loved and believed in. I am a ‘mad’ keen Chelsea supporter (with the emphasis on ‘mad’) and torture myself on a weekly basis following my beloved blues and their misfortunes. It was while a Boy Scout that I met my first hero ‘Skip’ from whom I learnt about integrity and authenticity. I am married to Vibeke and together we have two daughters, two sons and, as I write today, four grandchildren with another due in August! Laverne is passionate about empowering young people and making a difference. She has 8 years of varied experience working children and young people in a range of settings such as Tier 4 Child and Adolescent Mental Health Service, Missing Persons Service with the Children’s Society, Independent Fostering Agency and statutory Social Care service. She has also worked as an Assistant Psychologist as part of a drug and alcohol team. Laverne is a bubbly and enthusiastic person who loves to laugh and is constantly seeking new challenges, both physically and mentally, such as volunteering in Sri Lanka, completing obstacle courses or climbing mountains. Lucy’s background is in secondary Geography having worked in both mainstreams and alternative provisions for over ten years. A key aspect of her current role is to work with students, teachers, carers, social workers, Virtual Schools, SEND teams, local schools and other agencies and services to ensure academic outcomes for the young people placed within Bryn Melyn Care. Lucy Wright works as a SENCO in a residential care organisation, Bryn Melyn Care. The organisation operate an attachment-based model based on the work of Dan Hughes and Kim Golding, focused on providing a secure base, building relationships, and managing behaviour of young people with distorted models of attachment defined by early life neglect, abuse or trauma. The model is underpinned by training and support which provides care practitioners and education teams with an understanding of the challenges of caring for young people with complex needs alongside practical approaches to build connections and support behaviour. The approach is developed from Dyadic Developmental Psychotherapy (DDP) which draws on theories of attachment, developmental trauma, neurobiology, caregiving, intersubjectivity, and child development. The model seeks to promote a therapeutic relationship between professionals and young people through concepts of playfulness, curiosity, acceptance and empathy. Martin Alfred is the Day Service Coordinator and Manager of Cairnlee house, a provision for young adults with additional support needs, at Camphill School Aberdeen. Martin has a degree in Social Pedagogy and has worked in care with children and young adults for over 15 years in Scotland and in California, USA. Most of this time has been spent living and working in Camphill communities. As Day Service Coordinator Martin oversees the operation of workshop provision for young adults providing meaningful work, life skills training and social and cultural learning opportunities. Martin is married with two young children and loves to cook in his spare time. Mathias Loureiro-Prati is a German qualified Pedagogue with a long standing expertise in delivering social pedagogical services in various settings in Germany. Mathias is a freelance facilitator of child protection systems and procedures to Government agencies and non-state social services. Mathias has been teaching at Universities in Germany on organisational culture in the third sector. Mathias has a keen interest in exploring and implementing an organisational culture in third sector organisations utilising current developments and research in the area of organisational development. His University background and practical application. Patricia Walls graduated from Paisley College of Technology in 1980. She then completed her social work training at Dundee University and worked within Tayside until 1995. During that time, she gained her Award in Internal Verification, Practice Teaching and the Advanced Diploma in Social Work (Child Protection Studies). She has had the opportunity to work as a practitioner, trainer and manager in the voluntary and statutory sectors both in day, residential and across age ranges in Education and Social Care Sectors. Within these roles Patricia has continued to practice teach and complete foster care assessments. Her current role within learning and development, as social pedagogy manager, supports the embedding of the latter in practice and continuous professional development for the workforce and connections to the wider national context. Pat Petrie is Professor Emeritus at the Centre for Understanding Social Pedagogy (CUSP), Thomas Coram Research Unit, Institute of Education, University College London. She established CUSP in 2009. Her professional background was in teaching, and working through drama, including in residential settings. Her research areas include early childcare and education, play and care services for school-age children and provision for disabled children. She cofounded and coordinated the European Network for School-age child care (1987-2003) and conducted the first survey of school-age childcare in the EU (1996), leading to her interest in social pedagogy and acceptance (1999) of Department of Health’s invitation to explore it further. A programme of government-funded European work culminated (2008) with piloting social pedagogy in children’s residential care in England, followed by contributing to Fostering Network’s introduction of social pedagogy into foster care. She has an ongoing involvement in social pedagogy and the creative arts and is one of the group now developing SPPA and social pedagogy qualifications. She is interested in social pedagogy for work with older people because she thinks they fit together, practically and theoretically. Robert Koglek has a Diploma in Social Pedagogy/Social Work from Germany, and Master’s degrees in Social Work, and Systemic Leadership and Organisational Development. Since moving to the UK in 2009, he has been actively involved in the promotion and implementation of social pedagogy in the social care sector. He has over 20 years’ experience working as a social pedagogue. Most recently, he has been appointed Head of Corporate Parenting, overseeing the Looked after Children, Leaving Care and Fostering Service. He has continued to implement social pedagogic through training, recruitment and commissioning of services that benefit children and families. Sandra Sabiston is Assistant Director at Camphill Blair Drummond. Qualified in Education and Social Work, Sandra has worked in Further and Higher Education as well as Social Work, managing Day Services, and in the Third Sector managing Residential Care. Latterly she worked in an organisational development role in the Third Sector. Born and brought up in Orkney, Sandra brings her own experience of small island community living to her role. Sue Jones is a senior learning and Development officer at Kibble but has carried out various roles in her 30 years’ service. As part of the team she is responsible for delivery and development of social pedagogy learning and practice within the organisation, child protection courses, and various other responsibilities related to workforce development. Thure qualified as a Pedagogue in Denmark specialising in music within social education. He has lived and worked in the UK since 2007 and is particularly keen on promoting the use of creativity and arts in working practices, and he is the founder of a development agency called Treehouse Associates. 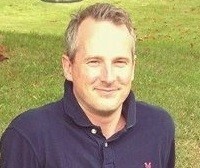 Thure has previously practised within foster panels, and as a manager in a UK family support charity. After turning independent in 2012, his focus has been systemic social pedagogy initiatives in various organisations and skills development of social pedagogy facilitators, social pedagogue recruitment and professional supervision. Thure plays an active role in promoting SPPA and the social pedagogy qualification framework with colleagues from SPC and UCL.